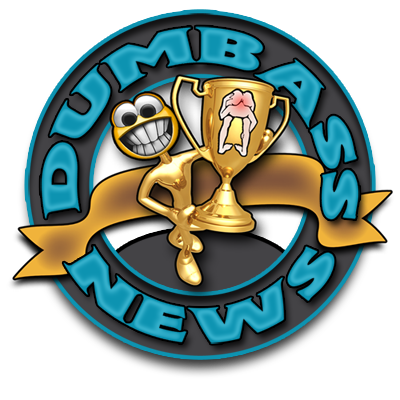 Every story I write about on this blog has earned the right to call itself Dumbass News-worthy. But there is the occasional tale that is tailor-made for this blog like John Wayne was made to be a Cowboy. You know the kind of story I am talking about. One so perfect that you almost have to question its authenticity. That's how the following story is. Hand meet glove. Enuff said. Would you be surprised if I told you this perfect Dumbass story involved alcohol? And a guy with three names? And a bulldozer? 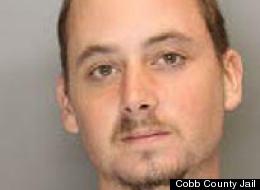 Cody Ray Gibbs had already been cited for DUI once before. He thought he was safe from a second one, so he went out and got tanked up with his buddies and finally it was time to go home. On the bulldozer he drove to the bar. Here's what the Atlanta Urinal-Constipation had to say: "Cody Ray Gibbs, 22, was allegedly under the influence of alcohol when he intentionally destroyed concrete curbing, erosion silt fence and landscaping at a construction site near Powder Springs where homes were to be built, according to an arrest warrant obtained by the Atlanta Journal-Constitution. Gibbs did not have consent of the property owners to operate the bulldozer between 2 and 2:30 a.m. Aug. 2, the warrant states. The warrant does not state whether or not Gibbs was employed by the company that owned the bulldozer. A week later, Gibbs was arrested and charged with second degree criminal damage, a felony. Property developers told police that damage was estimated at $10,000." What the heck was Cody Ray thinkin' when he decided to take the dozer and go drinking in the first place. Was he hoping to impress the chciks with his ride? Between 2 and 2:30 AM? On a bulldozer? After a night of consuming large quantities of alcoholic beverages? Really? What was he drinking and can I have some? Please. Guys have been busted for DUI on scooters, bikes, motorized wheel chairs and, like George Jones, on riding lawn mowers.The lesson here is that the drinking and driving laws in most states cover a wide range of vehicles for you to get popped on if you are plowed and driving one of them. So, all you Dumbass Drunks out there take heed. You could be next to be arrested for DUI on a horse or something. Next thing you know they'll make it illegal to be fubared and drive a school bus.